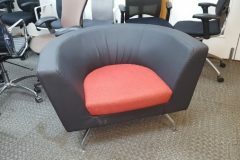 These used chic Orangebox CWTCH21LB tub chairs are finished with a blue faux leather surround and burnt orange fabric seat. Chrome leg base. You can take a more detailed look at this product by clicking on any of the images shown at the top of this page. 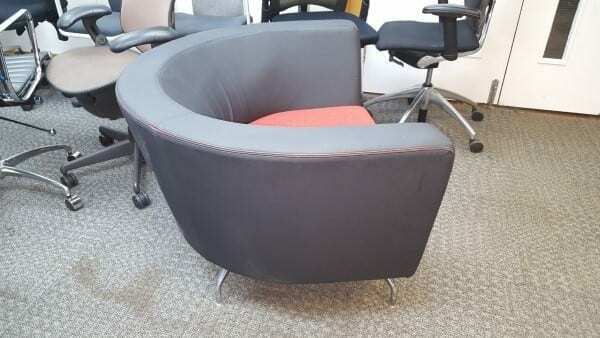 These chairs can be viewed in our showroom along with all our other used office furniture. 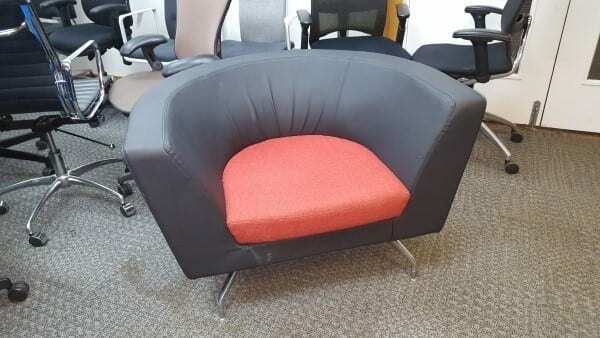 If you see a product you are interested in, you can contact one of our sales team by calling 07944 508282. Alternatively, if you are viewing our website on a Mobile Device, you can click on the Telephone Icon located at the bottom right hand side of your screen. If you are unable to call us, you can also enter your details into our ‘Request a Quote Online Form‘ below and one of our sales team will be in touch to assist you further. 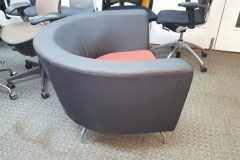 We also have Orangebox Path Reception Chairs currently available in stock at the moment and you can view these products by clicking on the link that has been provided in this paragraph. Finished with a Blue Faux Leather Surround. Dimensions: 1070w x 840d x 700h mm.